It was only a few years ago that I first tried an "energy ball". I made "goji berry bliss balls" from the Confidence Kitchen's blog and loved them! Since then I've realized there are hundreds of energy ball recipes with unique flavours and ingredients. I enjoy them because they are a great between-meal snack, easy to make, and they satisfy my sweet tooth! Other reasons to enjoy them include the fact that most recipes are free from refined sugars and you can control the ingredients for gluten or nut allergies. Also, there are no preservatives that you would normally find in a granola or energy bar from the grocery store. When I was flipping through The Farm and City Cookbook, I saw the recipe for Carob Balls and thought that was so interesting! What I thought was a recent fad in "energy balls" has been around since before 1994. I guess this was me being a little bit ignorant, thinking that all of these energy ball recipes were a result of the organic/gluten-free/vegan/green food movement. And also being ignorant to think this movement just started, when in reality my Grandmother's cookbook revolves around ideas like shopping at your local fruit stand or market, eating what's in season, baking from scratch, and canning food when it is plentiful and the cost is low. All very practical and conscientious. Carob powder is made from drying and grinding the pods of a Tamarind-like tree, that grows in the Mediterranean. It is often used as a substitute for chocolate which comes in handy if you are allergic or are monitoring your caffeine intake, as carob is naturally caffeine free. 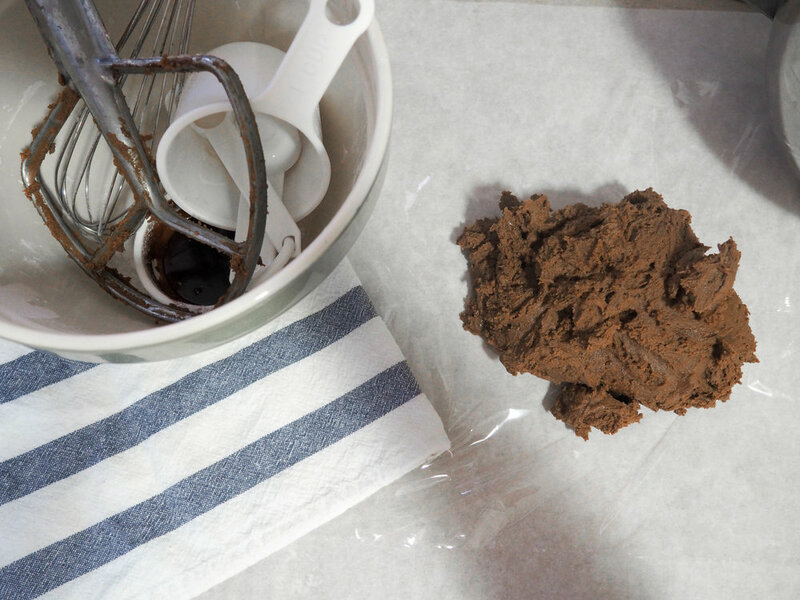 You can also mix 1/4 carob with 3/4 cup flour to replace 1 cup of flour in recipes. 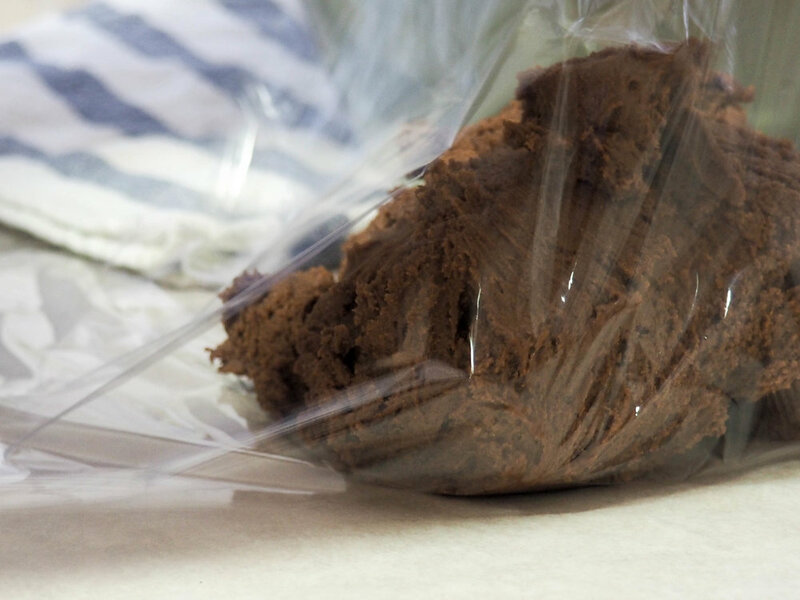 Carob is readily found in grocery and health food stores (the brand Red Mill makes small packages of carob powder). Mix the ingredients together, one at a time, in the order listed. 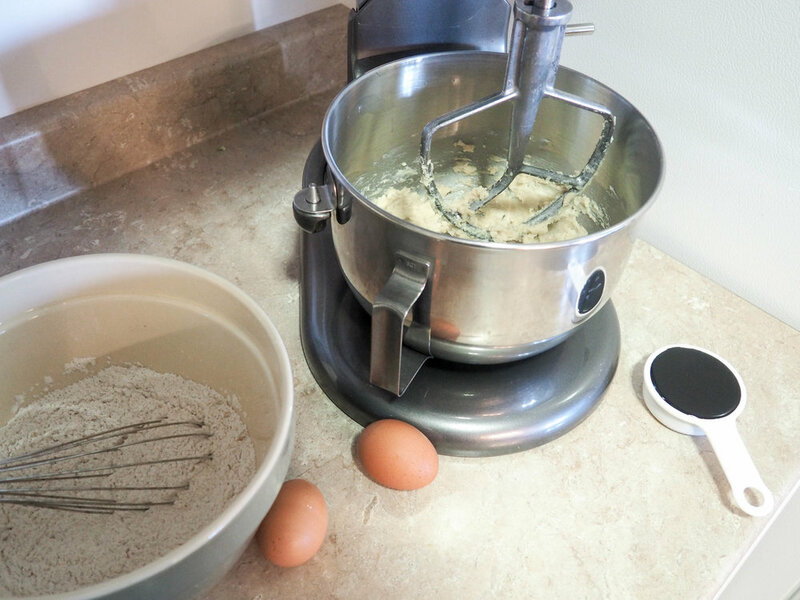 Add water, one tablespoon at a time until the dough comes together. Shape into balls and roll to coat in sesame seeds or coconut. Notes: You can chill the dough if you add too much water, or to make it easier to roll into balls. If you want to make sure the balls are gluten free, make sure to use “gluten free oats” because most oats are contaminated with wheat unless otherwise stated. Makes 10-12 balls. Store in the refrigerator for up to one week.